My younger boy doesn't really like sunny-side-up, so I lightly beaten an egg and poured it over. The beaten egg became watery, unlike the sunny-side up since egg white is thicker. As such, I had to be extra careful when transfering the baking tray to the toaster, making sure the egg didn't spill over the sides. Here's how the scrambled egg version looked like. Too bad, my boy didn't like this scramble egg version either...he finds it too eggy and cheesy. 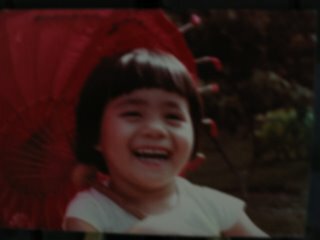 I really love sunshine egg(荷包蛋)! 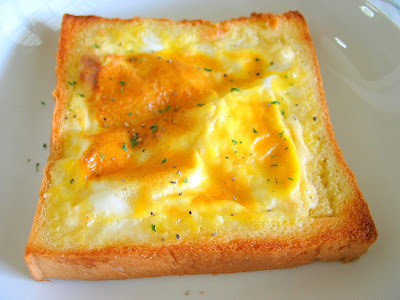 !It seem to be a very 3 in 1 Nutritional breakfast(milk toast + cheese + egg) heee. Btw, how long did u toast? I used a toaster which doesn't have a temperature setting...didnt really take note how long it took...probably 5~8 mins. This is so interesting! I love both combination, will give it a try one day! I have one similar book too! It's hand drawn and the contents are mainly on how to eat your toast in different ways. One of the method's like what you have done here! Looks yummmy! 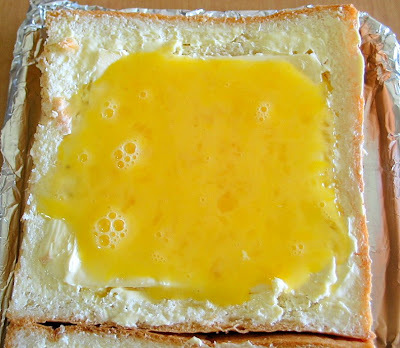 I just flipped through my book yesterday and saw that they squeeze mayo at the 4 edges of the toast, crack the egg and bring to toast. Great idea for breakfast! I don't have a toaster. What temp do u think I should set if I use an oven and how long? Hi Lousy Baker (hmmm, I reallu dont like to address u with this. When are you going to change it?!) I think you can try setting it at 180degC should take about 8~10mins for the egg to set. No, I wasn't using it as a preview! just that I am baking faster than I could post, lolz! Hey I like this! 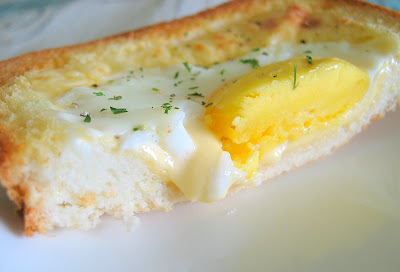 Melted cheese with egg is my favourite. 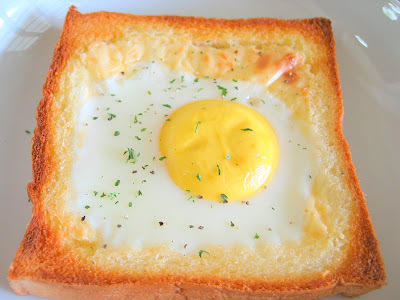 I didnt know I can toast it this way, usually i would fry my egg and put it on top of a slice of cheese and bread. Thanks for sharing this! 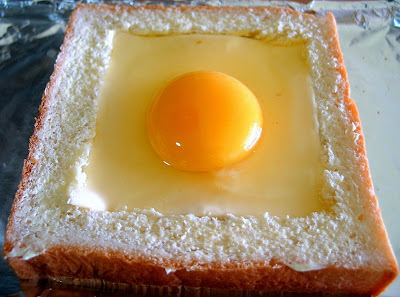 Hi Aimei, me too, only knew how to fry an egg and put it on a slice of bread! This is the first time I tried this. Do make sure you get the right size eggs for your egg mould. The eggs that I usually use is a bit too small for the mould...on the other hand, if the egg is too big for the mould, it'll burst. 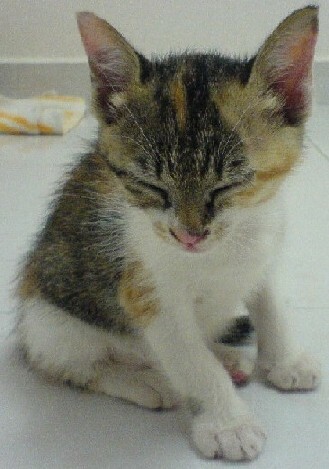 hi there, chanced upon your blog. and yes, i loved this open faced sandwich, the combi is sooooo right (love the jap mayo). 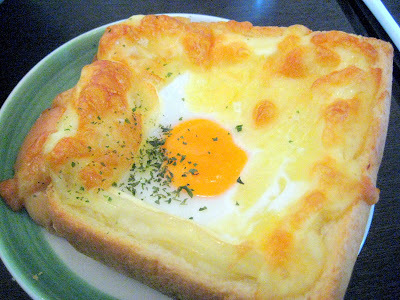 Ah this is 'egg in a basket', its a very old dish. This looks sooooo delicious! You're so good at "analysing" this and doing it so nicely. I shall this one of these days. 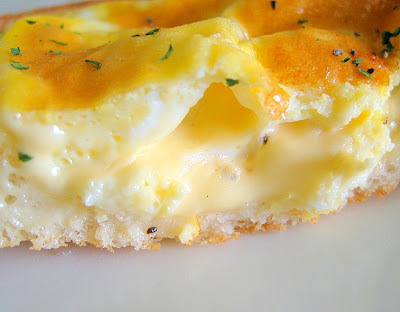 I love cheese & egg, both combined, is really terrific! Bravo! I used to eat something like this as a kid. called "eggs in a frame." I tried both and I like scramble egg version more. It's a great recipe to me as a big fan of cheese and egg. Oh, I will serve it as a snack for future gathering. Thanks for sharing ! Hi jennikim, I hope you have fun making these toasts. Maybe 200degC is too high, so the edges get burnt and the yolk cooked faster than the white. Thanks for sharing, this is going on our 2 week menu this week! Hi, I tried it and my son love it. I stacked up 2 slice of toasts and shredded Swiss cheese. He prefers the scrambled version. Thanks. Wao this is cool! I shall try it soon.